At your own pace, by contributing a minimum of €50 a month, you will see your savings grow. If you need your money, you can redeem it whenever you want. Without penalties! We offer you a guaranteed minimum interest rate each year. Guaranteed annual technical interest rate. Life insurance up to €600. Select “Savings” in the menu. Tap on the imagin&PIAS button. Decide your contribution, and launch your savings. You can have cash available whenever you need it, as of the first day and without any penalties. 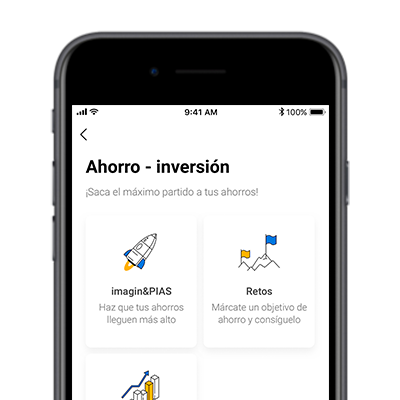 Besides monthly contributions starting from €50, you can save systematically by increasing or decreasing the amount of your contributions at any time. The maximum annual contribution limit is €8,000, with a cumulative maximum in this type of product of €240,000. A technical interest rate of 0.10% is guaranteed within the first 12 months; subsequently, it will be renewed according to the renewal conditions set at that time. In the event of death, your beneficiaries will receive the accumulated capital plus an additional 5%, up to a maximum of €600. 2. A technical interest rate of 0.10% is guaranteed within the first 12 months; subsequently, it will be renewed according to the renewal conditions set at that time, but with a minimum of 0.05%. The guaranteed technical interest rate is the return conditioned by the risk coverage on the life and provisions associated with these. 3. In the event of redeeming the funds in the form of a life annuity, the tax on immediate annuity income will be applicable and the accumulated return during the deferral period will be exempt from taxation. Where applicable, any subsequent redemption of the funds will be taxed as capital gains and the exemption obtained from the accumulated returns will be lost. How can I contract an imagin&PIAS? You can take out your savings insurance via the "Savings" section of imaginBank menu. Once you sign the operation, your contract will be sent to the imaginBank mailbox. How can I redeem the funds I have in an imagin&PIAS? You can collect the capital accumulated in your savings insurance via the “Redeem my savings” option. If you choose to redeem the funds in the form of a life annuity and more than 5 years have passed since the first valid contribution was made, the returns generated over all those years will be exempt from tax and the income will be taxed as an immediate life annuity. In order for this tax benefit to be applied, contributions must not exceed the maximum limit of €8,000 per year and €240,000 in all PIAS funds you hold. Select the imagin&PIAS option and select the insurance policy you hold and from which you want to redeem your savings. In the “Options” menu, select “Redeem my savings”. Currently, it is only possible to redeem the full amount of the capital saved up using the app. Important: If you redeem your savings within 30 days of contracting the plan, the insurance will be cancelled (withdrawn) and the premium will be refunded in full. You can redeem your savings as a single capital payment or as a life annuity. How can I see the evolution of my imagin&PIAS savings insurance? You can check the status of your insurance and administer it via the "Savings" section of imaginBank. Select the imagin&PIAS option and select the insurance you wish to administer. Via the “Options” menu, select the operation you wish to carry out on your insurance. 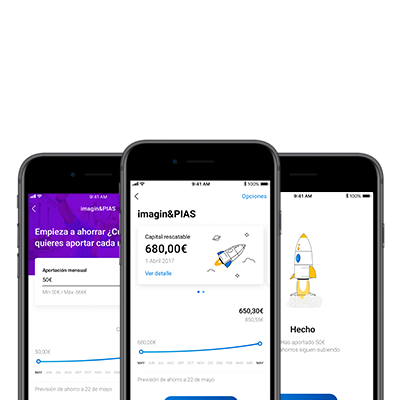 On this screen you can view the status of your imagin&PIAS plan, your monthly contribution amount, the forecast for the amount of savings 12 months after the contract date and the product conditions. Can I cancel a regular contribution to my imagin&PIAS? Yes, if you wish to cancel your programmed contributions to your imagin&PIAS, you can do so by accessing the insurance you want to administer via the “Savings” section of the main menu. 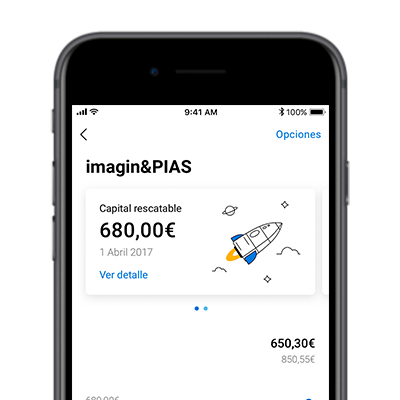 Select the imagin&PIAS option and select the insurance in which you wish to cancel the automatic contributions. Via the “Options” menu, select the “Change regular contributions” option. You will see a bin icon on the top right corner of the screen. By means of this option, you will be able to cancel your programmed regular contributions. After signing the cancellation confirmation, a request will be sent to cancel these contributions (this operation may be carried out the following working day). 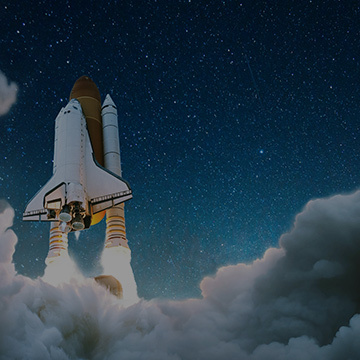 Important: If you have requested the cancellation of a regular contribution, you may not activate a new contribution until the first working day of the following month. Information subject to the terms and conditions of contracting and subscription of the insurance companies, as well as to the taxation in force. Life insurance of VidaCaixa, S.A.U. de Seguros y Reaseguros. 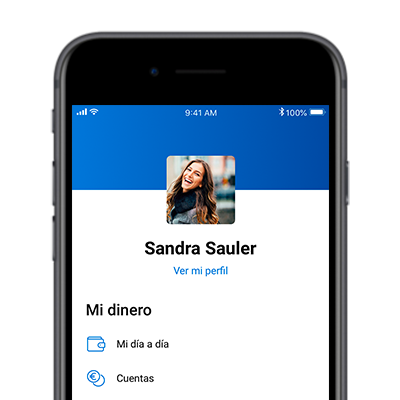 CaixaBank, exclusive banking and insurance operator of VidaCaixa, S.A.U. and authorised by SegurCaixa Adeslas, S.A., with NIF A-08663619 and address in Calle del Pintor Sorolla, 2-4, 46002 Valencia, and inscribed in the Register of Insurance Agents of the DGSFP with the code C0611A08663619.